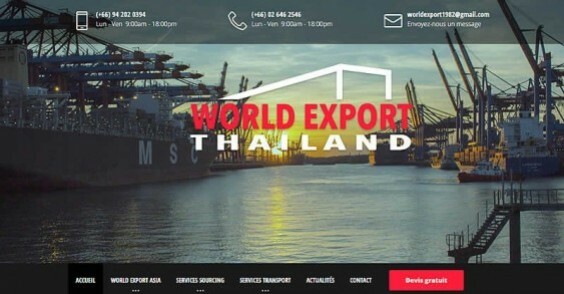 World Export Thailand launched its new website World Export Asia, created by digital agency Websamba MC to help businesses fulfill their sourcing projects in Thaïlande and across all of Asia. 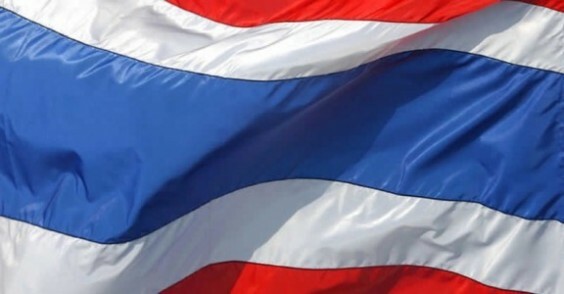 La Thaïlande, pays du sourire et carrefour écnomique incountournable en Asie du Sud-Est, attire toujours autant les investisseurs étrangers notamment dans l'industrie qui représente 40% du PIB national. Our knowledge of local business usages, and of the languages allow us to negotiate and obtain the best prices for you. Our network of carefully selected partners covers your needs in all sectors from textile to electronics, and spices. We are fast working professionals that will give you unbeatable value, but you don't have to take our word for it, just put us to the test! Business is a constant race against the clock, we all know that. Time is money, and you sure don't want to waste it. Our company is based in Bangkok, Thailand, in the heart of Asia. We offer simple and rapid answers to allow you to manage your business just as swiftly. Your time is precious to us! Our experience and position allow us to provide great solutions and valuable guidance. In our years of experience, we have handled all sorts of situations. Whatever the question or issue, if it's about sourcing, we'll have an answer for you! We assist you until the end to facilitate your process end-to-end. We know well all the tricks of import-export and put our knowledge at your disposal, for any volume. We are at your side from selecting the best supplier to choosing the best logistic partner, always at the best negotiated rates. No strings attached, do not hesitate to submit your quote requests, whatever your specific need may be.